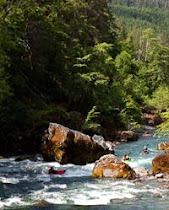 We wrote earlier that local support for the proposed "withdrawal in aid of legislation" for 5,610 acres of the Wild and Scenic Chetco River was overwhelming. At the Bureau of Land Management's Brookings Oregon October 26th hearing—90 percent favored the measure, with only about 10 percent in opposition. Until now, however, we didn't know just how wildly popular the proposal is with Oregonians, and people across the nation. 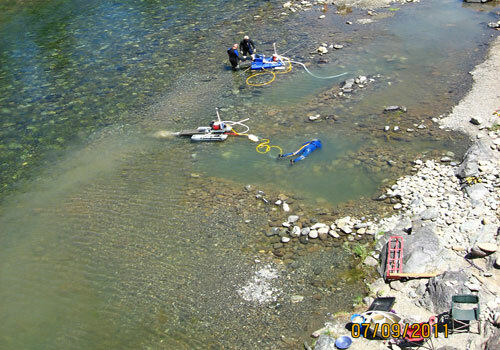 Mining on the National Wild and Scenic Illinois River in 2011. These are small dredges operating under the State of Oregon's general 700 PM permit. Now imagine the impacts of mining 15 miles of the Chetco River with dredges weighing up to one ton, with six mining operations each mining up to 470 cubic yards of streambed per year for 10 years. Rich Nawa photo.